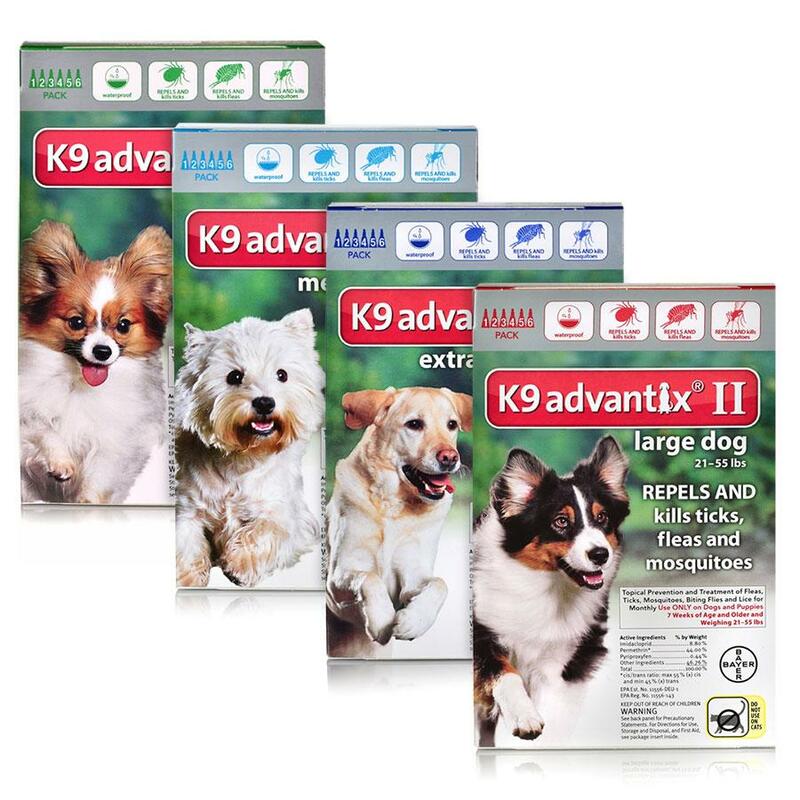 K9 Advantix II® is a convenient, once-a-month topical flea, tick, and mosquito control for dogs. K9 Advantix® offers protection against pesky pet parasites. It's a unique combination of two proven ingredients (imidacloprid + permethrin) that work synergistically against parasites. Each affects parasite nerve cells at different sites. When combined, the two compounds overwhelm the parasite's nervous system. This leads to rapid paralysis and death of the parasite. K9 Advantix® remains effective after swimming or bathing. This product is made in the USA and is FDA & EPA approved. K9 Advantix® must not be used on cats.